We’re delighted to be working with Cherry Ghost for the first public concerts at the restored Hallé St Peter’s. 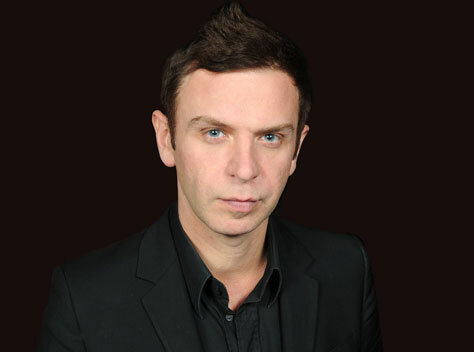 Cherry Ghost is songwriter/vocalist Simon Aldred. In 2007, the debut album, Thirst for Romance, revealed the potential of what this extraordinary artist could do. Widescreen, wondrous songs, like Mathematics and 4am, had already been showcased on Later with Jools Holland months before the album’s release, and then were played heavily on Radio 2 and 6Music. The record got to No 7 in the album charts, and its lead single, People Are The People, won an Ivor Novello award for Best Contemporary Song in 2008. Cherry Ghost returned in 2010 with second album, Beneath This Burning Shoreline. Having travelled widely, and loving the writing of Cole Porter, Glenn Campbell and Bill Callahan, it was now time for Aldred to make everyone realise who he – and Cherry Ghost – really was. It was time to uproot, look beyond, and march bravely on. This September, Aldred takes a temporary step away from his Cherry Ghost moniker to release new album Invasion Of Love under the name Out Cold. Made with Metronomy producer Ash Workman, its 11 tracks tap influences born primarily from sixties Motown, seventies Philadelphia and eighties New York and London, from blue-eyed soul to electronic-pop produced by analogue synths and drum machines, with guitar stitched into the seductively silken mood. These special shows will feature songs from the Cherry Ghost back catalogue. They will also mark the recording of a third Cherry Ghost LP, provisionally scheduled for release in spring 2014, and could be the first outing for some of those soon-to-be classics. These concerts takes place at Hallé St Peters. 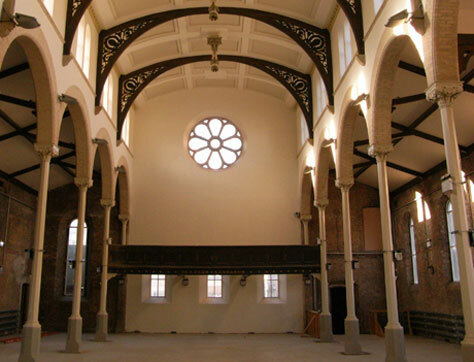 The formerly derelict Anglican Church was built in 1859, the year before the Hallé formed, and has recently been restored for use as a rehearsal space for the orchestra, following a brief spell hosting Macbeth featuring Kenneth Branagh for the Manchester International Festival. We’re very proud to present these, the first public concerts in the Grade II listed church since its restoration. These shows are co-promotions with DHP. Both shows are now sold out! Please our mailing list at the top of the page for details of future shows.